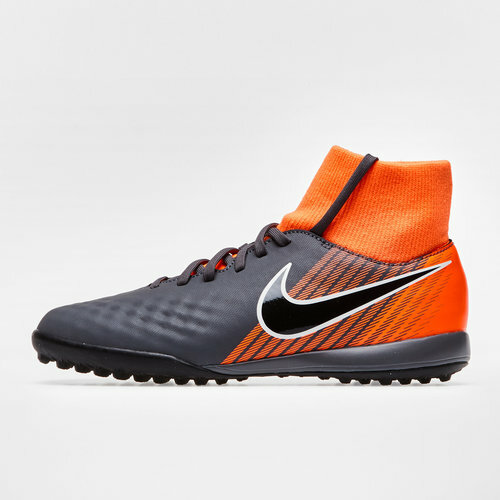 Designed for the elite playmakers, lead your team to success by taking the reigns and controlling the outcome when pulling on the Magista ObraX II Academy D-Fit Kids TF Football Trainers from Nike. 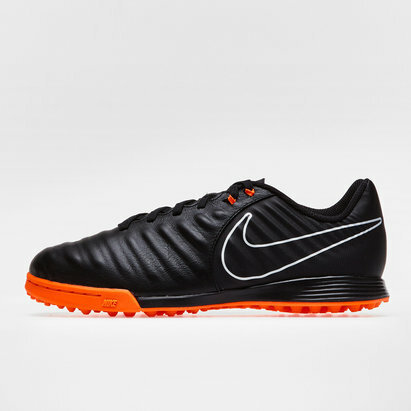 These kids football trainers from Nike have been designed for the playmakers, the premium leather upper has an embossed 3D texture across the upper on key areas which provides pinpoint accuracy by creating the perfect point of impact. With the dynamic fitting collar linking the foot with the leg to give the impression of an all in one fit. An internal lining makes sure the shoe holds shape, meaning the more they get used the more they mould to the foot. That's not the only impressive feature as the rubber outsole provides reliable traction on turf surfaces, helping when flying up and down the pitch.